It’s official, we have begun the ski season! 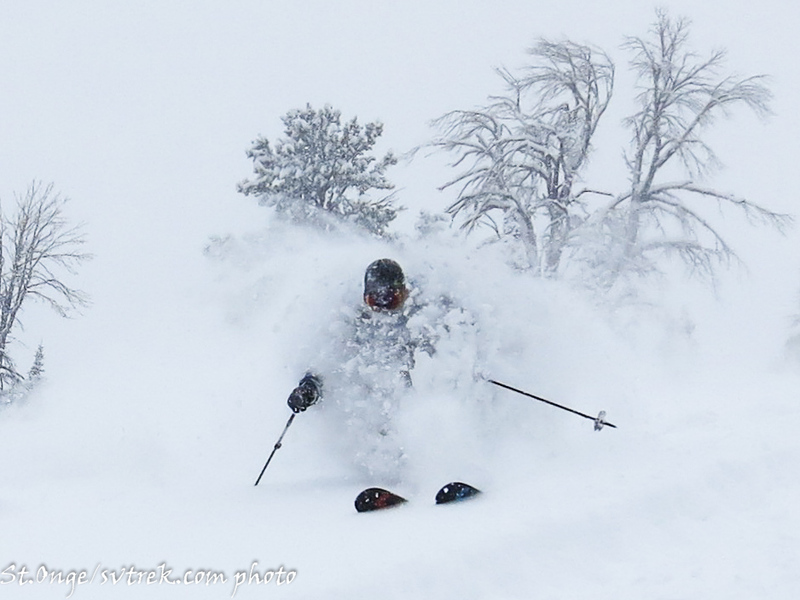 The recent storms have brought over a foot of new snow to the high country here in the mountains of Central Idaho. Depending on the geographic area, aspect and elevation, this snow fell on either dry ground or older snow. The upper elevations in the mountains around the headwaters of the Salmon and Wood River Valleys had a preexisting snow pack made up of facets and crusts and there are stability concerns in many of these spots with the new load. 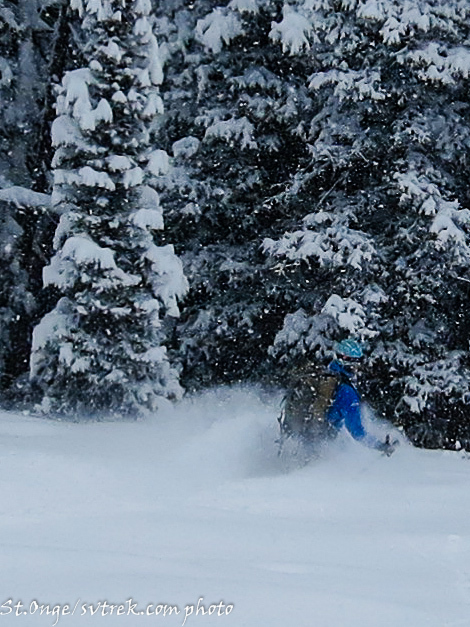 Please check the latest Avalanche Report for a more detailed description. 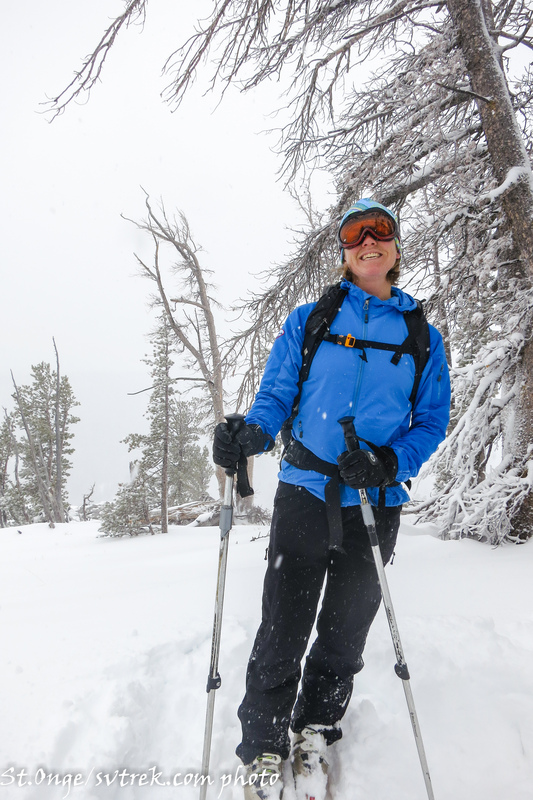 SVT Guides, Joe and Francie St.Onge went out around Galena Summit for a short tour to check conditions and found some fun turns, even with the thin coverage. Careful out there! 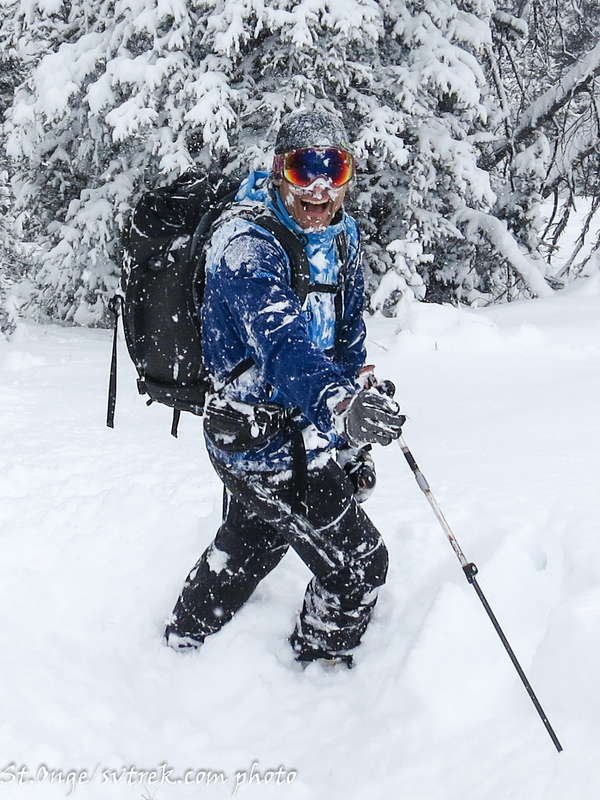 Some of these pics make it look like mid-winter, but generally the conditions are classic early season. 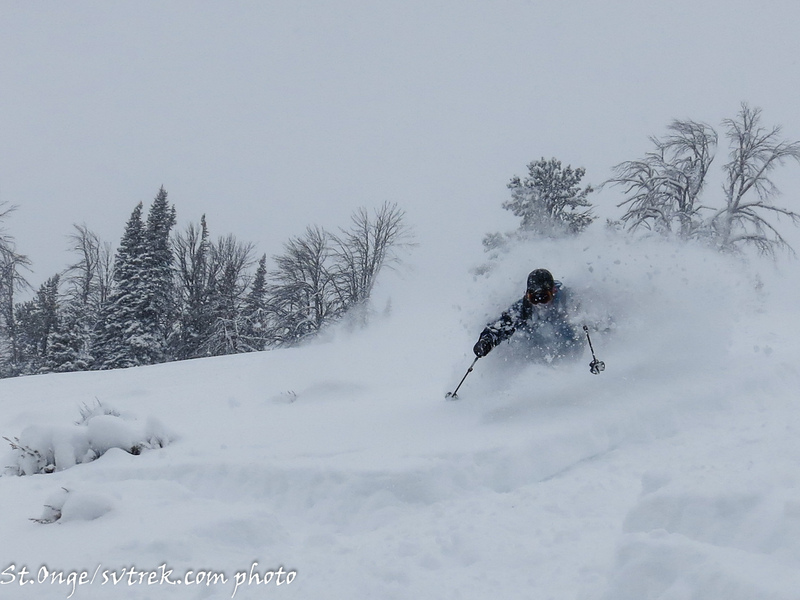 So keep the snow dances going, burn a ski or two and praise ULLR to bring us more turns like these! 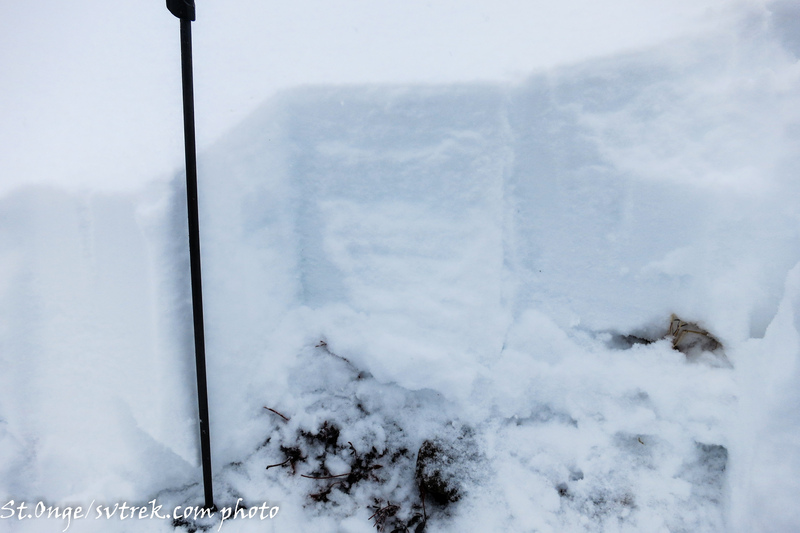 65 cm snowpack with 40cm of new snow sitting on a supportable crust. Funneling faceshots will make you smile!